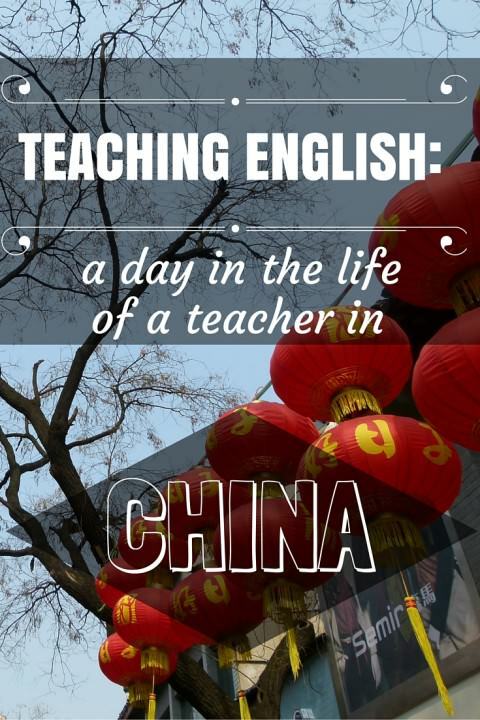 We’ve written about how to start teaching English in China, how to actually find teaching jobs in China (and also how to teach English online), but we haven’t actually set out what a day in the life is like! 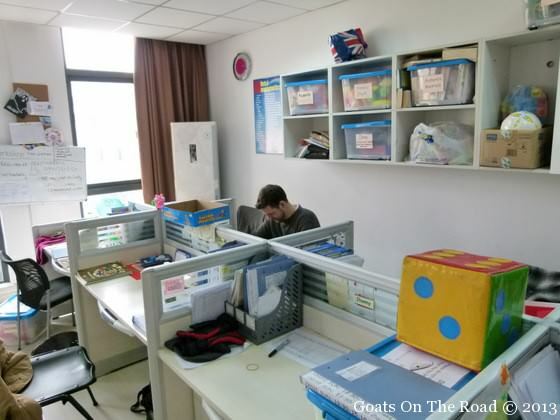 For all of you who are thinking about teaching English in China, or if you’re just curious about what it would be like, here’s an example of our busiest teaching days, which are Saturdays and Sundays because we work in a private school. 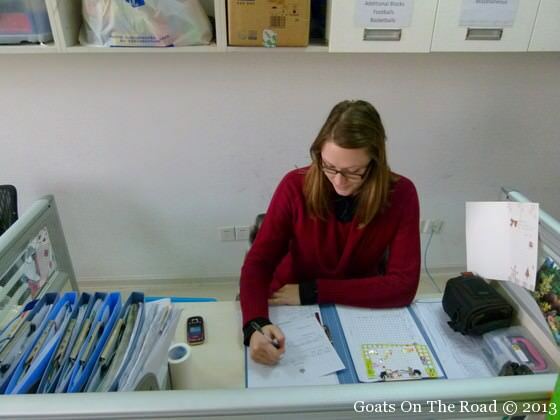 8:00am – Arrive at the school, have a coffee, read over our lesson plans and get our materials ready. 8:30am to 10:10am – This is our first class of the day. During that hour and forty minutes, we have a 10 minute break. 10:10am to 10:20am – We only have a 10 minute break in between our first class and our second class. We have a quick scan of our lesson plan. It’s usually pretty rushed. 10:20am to 12:00pm – This is our second class of the day. We also have a 10 minute break during this hour and forty minute class. 12:00pm to 1:30pm – We have an hour and a half for lunch. We’ll usually go out for a walk, eat some food and relax. We also might have a lesson plan or two to write during this break. 1:30pm to 3:10pm – This is our third class of the day. Again, we have a 10 minute break during this hour and forty minute class. 3:10pm to 3:40pm – We have a half an hour break in between classes. We’ll have a coffee and review our lesson plan for the next class. 3:40pm to 5:20pm – This is our final class of the day. As with the other 3 classes, we have a 10 minute break. Saturdays and Sundays may seem like they are long days because we arrive at 8:00am and leave at 5:20pm, but as you can see, we have a lot of breaks during the day! Outside of the busy weekends, we work 1.5 hours each on Wednesday, Thursday and Friday. Mondays and Tuesdays are our days off. My student, Frank and his little brother, Kobe. The 2 cutest students at our school, you should see the amount of attention these 2 brothers get! Each class is different than the one before it, which makes it seem new and exciting every time we step into a classroom. 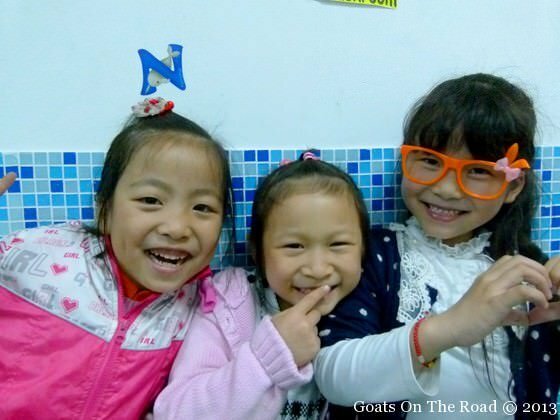 We adore our students and really enjoy being English teachers here in China! If you’re interested in Teaching English overseas, let us know if you have any questions. It’s the perfect job for travellers or anyone looking to try something new! I worked in Greece for seven years in a private language school. It was very cold and wet in the winter with no heating on, so the children and the teachers often wore thick coats, layers of jumpers and even gloves and scarves! No one thinks of Greece as cold but it is in the winter months. There are also ski resorts in Northern Greece. Your article and photographs were fantastic. Lovely children. Wow Janet, that’s really interesting! I wouldn’t have thought of Greece being that cold. 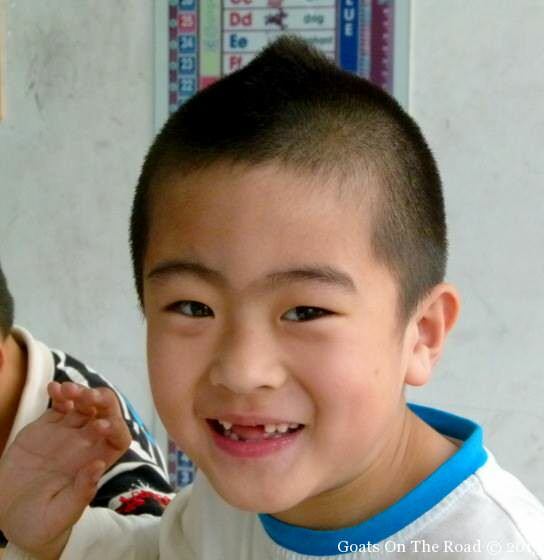 So, just like here in China, teaching is done in warm clothing! I thought it was really weird when I first came here but then got used to always wearing thermal underwear and the only outfit everyone sees on me for a couple of months is my jacket and pants! Hmm, maybe we’ll look into teaching in Greece next. Which city were you working in?